In a bowl, combine all of the ingredients, except for the dinner rolls, until well mixed. Form the meat into 8 small patties. Grill the patties on the hot bbq until desired doneness. Serve on the dinner rolls with your favorite condiments (i.e. ketchup, mustard, relish, tomato, onion, etc.). 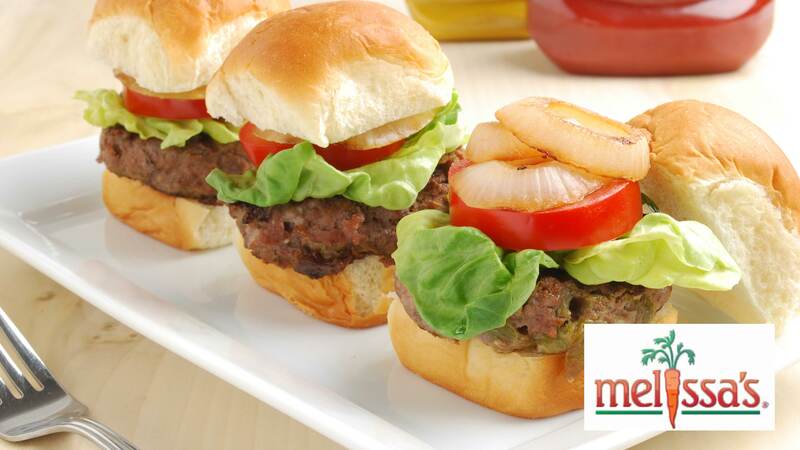 Hawaiian sweet rolls are a great vessel for these petite burgers. Recipe from Hatch Chile Cookbook.